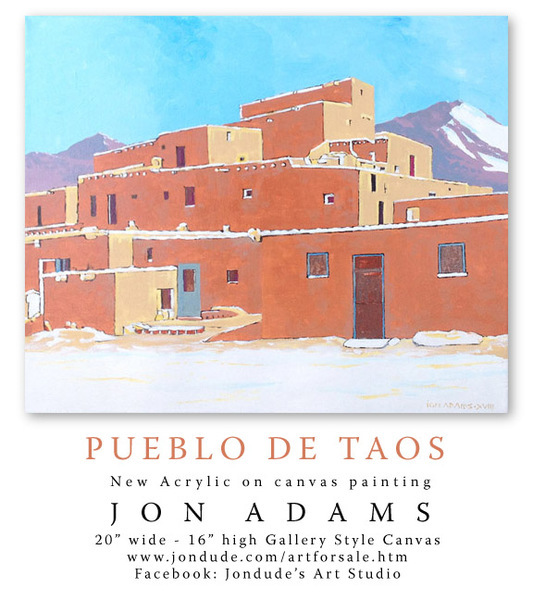 TAOS PUEBLO, 16 x 20. The most beautiful drive that I remember is from Angel Fire to Santa Fe. That time of year, that location - the smell of pinyon smoke in the air. Absolutely love New Mexico! Beautiful work. A favorite style of mine since teenage years. This makes me long to go to Santa Fe just one more time. I love that blue that is supposed to fend off witches, or is it just evil in general?